During the ongoing crisis between Russia and Ukraine, one European former Soviet republic has kept a low profile. I am talking about Belarus. Belarus borders on Russia, Ukraine, Lithuania, Latvia, and Poland and is a dictatorship run by Aljaksandr Lukashenka. But twenty years ago, Belarus was headed in the direction of democracy and on March 15, 1994 adopted a constitution to fulfill that goal. What happened? Belarus is approximately one third of the size of Ukraine and has a population of 9,441,000 (2013), 1.9 million of which live in the capital Minsk. Belarusians constitute the largest ethnic group, followed by Russians. Before World War II, Jews were the second largest ethnic group in Belarus. The Belarusian language is the official language but Russian is used on all levels of society. The location of Belarus is marked in red. Throughout history Belarus has been a region located in between the cultural and economic regions of the Baltic and the Slavs. From the middle of the ninth century, the area that was to become Belarus was part of the state of the Kievan Rus, originating in present-day Ukraine. Kievan Rus collapsed when the Mongols invaded and during the thirteenth century, Belarus constituted the western-most part of the Mongolian realm. Meanwhile, Lithuania on the Baltic increased in political power and during the course of the fourteenth century, Belarus instead became a part of the Grand Duchy of Lithuania, which in 1386 entered into a political union with Poland. This political union lasted until the three partitions of Poland (1772, 1793, and 1795) when the Polish-Lithuanian area was divided in accordance with Russian interests. Due to Polish-Lithuanian governance, Belarus became integrated into the Polish-Catholic cultural sphere while distancing itself from the Slavic-Orthodox. This development is confirmed by the fact that during the Middle Ages, Belarusian towns and cities adhered to the so-called Magdeburg Law. The City of Magdeburg, today located in east Germany, was an important trading place at the intersection of the Germanic and Slavic regions. Towns and cities of lesser importance and stature adopted the city laws of major cities to be able to participate in European trade and exchange. Magdeburg was a city whose law was adopted by several other cities. Lübeck, on the German Baltic coast, was another such city. The fact that Belarusian cities adopted the Magdeburg Law indicates their affiliation with the European continent rather than the landmasses ruled by Kiev and Moscow. Following the partition of Poland, Belarus became part of the Russian Empire and continued as such until the Empire’s collapse during the Russian Revolution and the ensuing Russian Civil War (1918–1920). During this period, Belarus, together with Finland, Lithuania, Latvia, and Estonia, declared independence. Belarus became part of the Soviet Union, once again after being divided, this time in accordance to the borders between Russia and Poland as constituted by Poland’s First Partition in 1772. The new borders of Belarus was determined by the Treaty of Riga, signed by Russia and Poland in 1921. Of these new-born independent states, Finland was the only one not to become part of the Soviet Union. 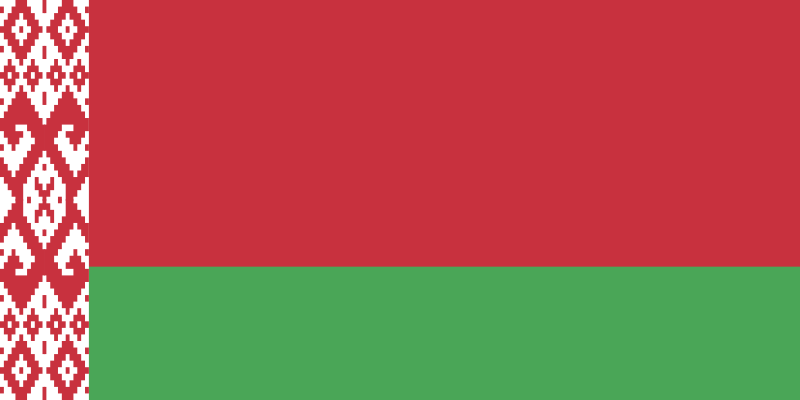 Flag of Belarus, 1918–1921, 1991–1995. The Soviet Union itself collapsed in 1991. The reason why the Soviet Union collapsed was because the Soviet Republic of Belarus, together with Ukraine and Russia, agreed to create a Commonwealth of Independent States instead of the Soviet Union. Belarus, Ukraine and Russia were soon joined by other Soviet Republics and the CIS began functioning on December 21, 1991, with its administrative center located in Minsk. Soon after independence work on drafting a constitution began. While working on the new constitution, the legislators looked towards the legal foundations of sovereign states such as the United States, France, Belgium, Denmark, and Sweden, while constructing a legal system based on the principle of the Russian Federation. The constitution was adopted on March 15, 1994. 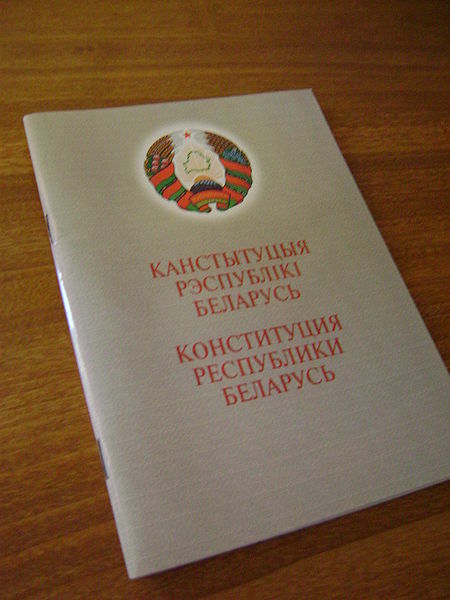 Constitution of Belarus. Title written in Belarusian, followed by Russian. The constitution created the office of President as the new nation’s leader. In July 1994, Aljaksandr Lukashenko was elected to the post and has ruled the country ever since, amending the democratic constitution through two non-transparent and highly criticized referendums in 1996 and 2004, respectively. Today, Belarus is the only dictatorship in Europe. The country has no freedom of speech, no freedom of the press, no freedom of organization and its domestic economy is in shambles. Its prisons hold political prisoners and the government has executed several of its imprisoned dissidents. To stay in power Aljaksandr Lukashenko needs both Ukraine and Russia. Lukashenko needs Ukraine because that country is one of Belarus’ main trading partners. Therefore, Lukashenko needs to stay on friendly terms with whomever is in power in Kiev. Lukashenko needs Russia because Russia is one of his few supporters. But Russia’s support of the Lukashenko regime is based on strategic interests. If Russia loses interest in Belarus as an ally, Lukashenko’s days are numbered. And that is why no voice on the Ukrainian crisis is heard from Minsk. 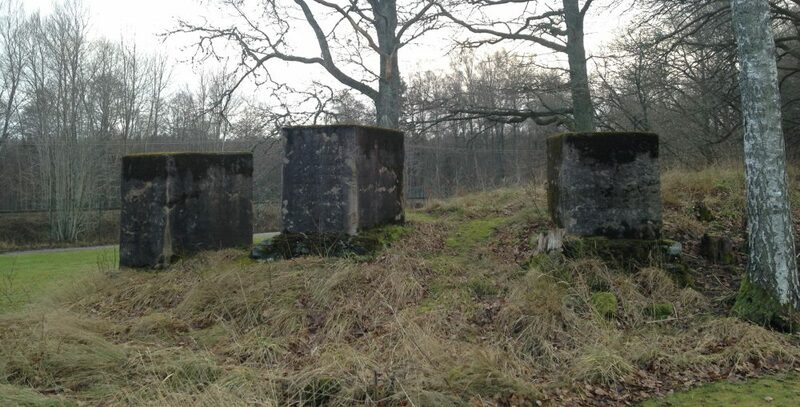 Belarusbloggen Varför tiger Lukasjenka om Krim? There is no standard set for transcribing Belarusian names in English. Images of Belarusian flags and constitution downloaded from Wikimedia Commons. TTR: Are We Really Global Citizens? Cosmopolitanism and Its Myths. Extreme metal, critical thinking, shameless navel-gazing.